Chrysler Group LLC today reported U.S. sales of 138,019, a 37 percent increase compared with sales in December 2010 (100,702 units), the group's best monthly sales since May 2008. For the year, Chrysler Group sales totaled 1.37 million units, up 26 percent versus sales in 2010, the largest percentage sales gain of any full-line manufacturer. 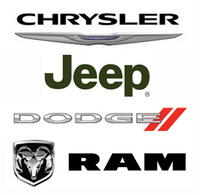 The Chrysler, Jeep®, Dodge, and Ram Truck brands each posted solid sales gains during 2011 compared with sales in 2010. December marked Chrysler Group's 21st-consecutive month of year-over-year sales gains and seventh-consecutive month of sales increases of at least 20 percent. The group's 37 percent December increase was driven in part by strong sales of the Chrysler 300 flagship sedan, Chrysler 200 mid-size sedan, Dodge Charger and Avenger sport sedans, Ram pickup truck, and the Jeep Grand Cherokee, Wrangler, and Compass. "Chrysler Group finished a year of growth on a strong note with our December retail sales soaring 45 percent to our highest dealer retail sales in four years," said Reid Bigland, President and CEO -- Dodge Brand and Head of US Sales. "Looking back, we were the fastest-growing automaker in the country, increasing our market share 1.3 percentage points during 2011." The Chrysler brand's 83 percent increase, driven by surging sales of the Chrysler 300 and Chrysler 200 sedans, was the largest percentage sales gain of all the Chrysler Group brands and represents its best monthly sales since August 2008. The Jeep, Dodge, and Ram Truck brands each logged double-digit percentage sales gains in December, while the FIAT brand posted a 44 percent increase compared with the previous month of November. Chrysler Group finished the month with a 64-day supply of inventory (326,087 units). U.S. industry sales figures for December are projected at an estimated 14 million SAAR. The Chrysler brand's 83 percent sales increase in December represented the largest percentage increase of any Chrysler Group brand and its best monthly sales since August 2008. Brand sales were driven by the strong showing of its two sedans, the new 2012 Chrysler 300 full-size sedan and the mid-size 2012 Chrysler 200. Sales of the 200 were up a robust 661 percent in December, compared with sales of its predecessor the same month a year ago, while the 300 turned in a 242 percent sales gain. The brand in December introduced the all-new 2012 Chrysler 300 Luxury Series, designed to be the most luxurious and fuel-efficient Chrysler flagship sedan ever. Arriving in the first quarter of 2012, the 300 Luxury Series combines ultra-premium leather -- once limited to some of the most exotic Italian luxury cars -- with world-class refinement and handling, state-of-the-art safety and connectivity features, and an eight-speed automatic transmission with the Pentastar® V-6 engine for 31 best-in-class highway miles per gallon. Jeep brand sales were up 41 percent in December, the brand's best monthly sales performance since December 2007 and its 20th-consecutive month of year-over-year sales gains. The 2012 Jeep Wrangler, Grand Cherokee, and Compass significantly contributed to the brand's 41 percent increase. The Compass' 1,035 percent sales gain in December was the largest of any Chrysler Group model in December. Wrangler, the most capable and recognized vehicle in the world, set a new sales record for the month of December; the model's seventh-consecutive monthly sales record this year. Grand Cherokee sales were up 36 percent in December, its best sales month since December 2005. The new 2012 Jeep Wrangler Rubicon -- the most capable production vehicle on the planet -- was named "Four Wheeler of the Year" by Four Wheeler magazine in December. The award is given annually by the editors of the opinion-leading off-road enthusiast magazine. The Dodge brand posted a 28 percent sales increase in December compared with the same month in 2010. It was the brand's seventh-consecutive month of year-over-year sales gains. The 2012 Dodge Charger, America's first domestic sport sedan to feature an eight-speed automatic transmission -- delivering a best-in-class 31 mpg highway -- led the brand with a 227 percent sales increase in December. It was the Charger's best December sales since 2007. The 2012 Dodge Avenger, America's most affordable and most powerful mid-size sedan, and the 2012 Dodge Journey, the most affordable mid-size crossover in America, each posted double-digit percentage sales increases in December compared with the same month a year ago. The 2012 Dodge Durango, with its best-in-class capability, style, spaciousness, interior craftsmanship and driving dynamics, also contributed to the Dodge brand's sales gain in December. Sales of the Durango full-size SUV were up 22 percent versus the previous month of November. In December, the Dodge brand offered a sneak peek of the 2013 Dodge Dart, its all-new, state-of-the-art, four-door sedan that will compete in the compact car segment. The Dart is scheduled to be introduced Jan. 9 at the North American International Auto Show in Detroit. The Ram Truck brand posted a 10 percent sales increase in December compared with the same month in 2010, its best monthly sales since August 2008. Ram pickup truck sales increased 12 percent in December, the model's best sales month since March 2008. Both Light Duty and Heavy Duty trucks contributed to the increase. Despite the fluctuating gasoline prices during 2011, the Ram pickup truck logged a solid 23 percent sales increase for the year. The editors of Four Wheeler magazine last month named the Ram 2500 Power Wagon "2012 Pickup Truck of the Year." The Power Wagon beat the competition in a series of in-depth on- and off-road tests. Four Wheeler called out the Power Wagon's versatility saying it was nearly unstoppable off-road yet still civilized enough to be driven daily.